We have had some very busy weeks here at M5 Games. We have been wrapping up many of the major components of the game such as the sound effects and the completion of the world maps. Which means that we are inching ever closer to finishing off the game and announcing our release date. This also meant that it was a good time to get some playtesting input and to give some of our close friends and colleagues a first hand look into the world of StretchBot. 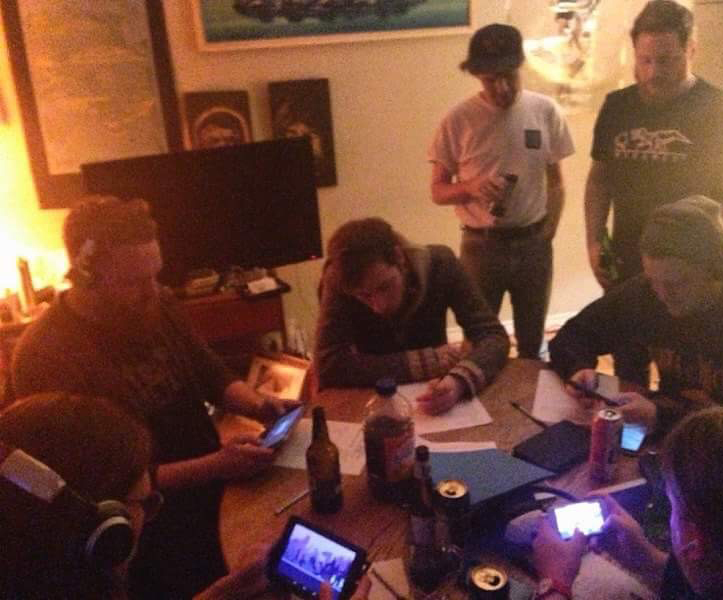 Getting to this playtesting night was pretty big milestone for our team. To some we may have been a little overzealous about showcasing StretchBot but this cycle of development worked for us and this project. Many game designers will tell you to get peoples hands on your game as soon as possible because it’s their input that matters the most. I agree with this mostly but it’s a case to case basis. For StretchBot we had a vision and we didn’t want major mass input until we had that solid working copy of that vision. In our case if we did a major playtest too early it may distract us from attaining and then properly testing our big picture ideas first. We definitely wanted the game to be at a point where we could avoid too many comments from casual testers suggesting new game components. We wished to avoid comments like: “You should add a giant robot dragon here!” and “What if the stretch could do magic and jump kicks?”. Luckily we were able to keep our test focused to the analysis we really wanted. Was it luck? We definitely feel lucky. The playtest went far better than we could have expected in terms of interest and quality of feedback. It was hard to predict how the informal event was going to go even after the first testers arrived. One thing we definitely miscalculated was the average length of play. We had set the objective to get feedback on some very specific aspects of the game thus we limited the testers experience to just a few levels and with minimal story and other game components explained. We were focused on feedback for controls and comprehension and general scale of difficulty in the level designs. We figured we would let people play for 10-15 minutes enough time to taste 2-3 levels and give us some feedback. We didn’t expect that most people wanted to keep playing and that their fun quotient seemed to rise with more exposure time. We just couldn’t ruin our testers buzz so an event that was planned to run for 2 hours actually went for around 6 hours. 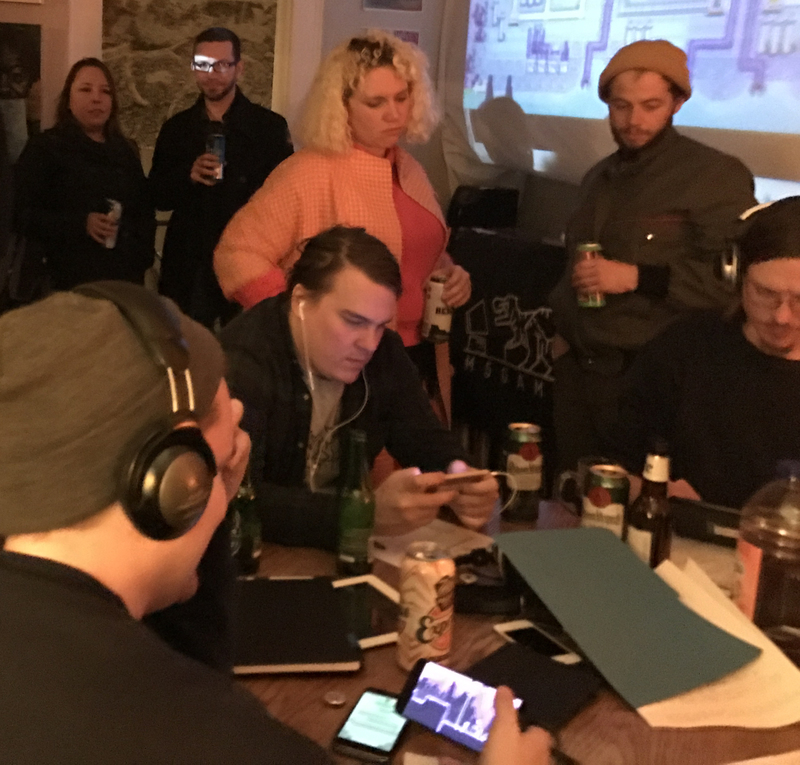 It was a really fun event for us and great way for us to cut our teeth as we get used to testing a mobile game in large scale. The input has been incredibly helpful for us as we check off many of the game mechanics and systems. This major milestone also feels great for the team because we are only a few steps away to wrapping up the whole project and we are heading down that road with a new head of confidence and energy. Thanks to everyone who came out on that warm March Hamilton night! and thanks to the StrangeBarn for hosting us. Next on the agenda are playtests in Toronto and Montreal. Stay tuned for updates on that!